Our methodologies, our tools, even our conversations help our leaders to move their changes forward (or not). Our success - and theirs - depends on the strength of the resources we bring to bear, and the level of influence we have. Beneath all of that lies Neuroscience. Research continues to produce tremendous new learning and insights in the field of Neuroscience. 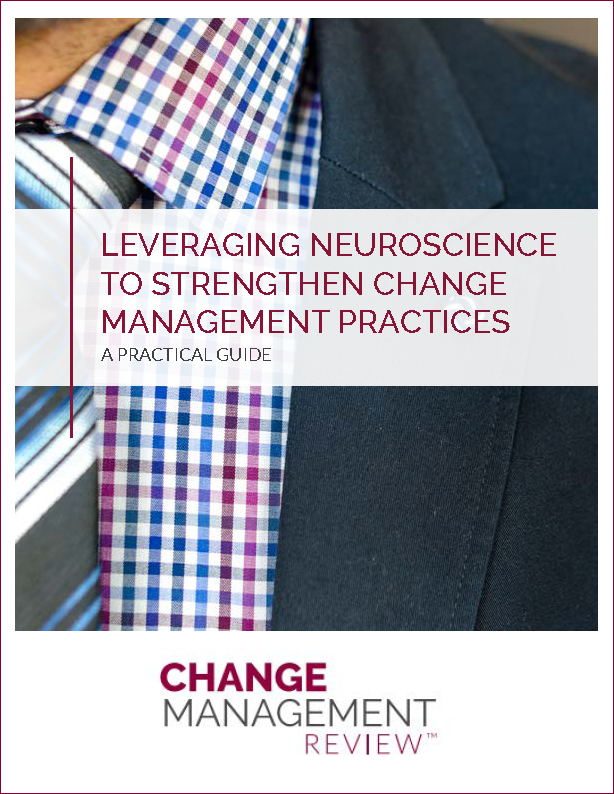 These insights help us understand why what we do as change practitioners works (or doesn’t), along with adjustments to our approach that may increase the likelihood of our own, and our sponsors’ and leaders’, success. The good news is: you do not need to be a Neuroscientist or understand the complex science of brain chemistry to put Neuroscience to work for you.